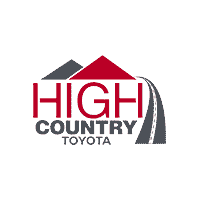 High Country Toyota goes the extra mile for you! We offer Non Factory Warranty Forever®. What is Non Factory Warranty Forever®? It’s simple: a real powertrain warranty that lasts as long as you own your car. When we say “forever,” we mean it! Your warranty lasts FOREVER! No warranty deductible: Non Factory Warranty Forever® pays 100% labor and parts costs at any dealership in the USA. NO maximum mileage! NO maximum ownership term! We really mean FOREVER! Never pay for expensive repairs again, simply complete the manufacturer’s recommended maintenance, and your vehicle is covered…FOREVER! All pre-owned vehicles receive a thorough mechanical and safety inspection; only after the vehicle passes inspection can it receive a true LIFETIME POWERTRAIN warranty with Non Factory Limited Warranty Forever®. You get peace of mind for as long as you own your car! Engine parts and components including, but not limited to: engine block, internally lubricated parts, crankshaft, cam bearings, valve springs, cylinder heads, flywheel/flex plate, oil pans, timing belts, exhaust manifolds, fuel pump, and more! Turbochargers, superchargers, and other enhanced-engine parts and components. Transmission components for automatic and manual gearboxes. Transfer case components for 4×4 vehicles. Pick a licensed repair center or facility to perform the needed maintenance, since we do not provide a list of authorized dealers, the choice is purely your own. You are required to call each time for pre-authorization for maintenance performed at an outside facility. Simply call 1-800-810-8458 to get pre-authorized. As long as you complete your vehicle’s recommended scheduled maintenance (see your Owner’s Manual) and follow these easy steps, your warranty will be upheld.